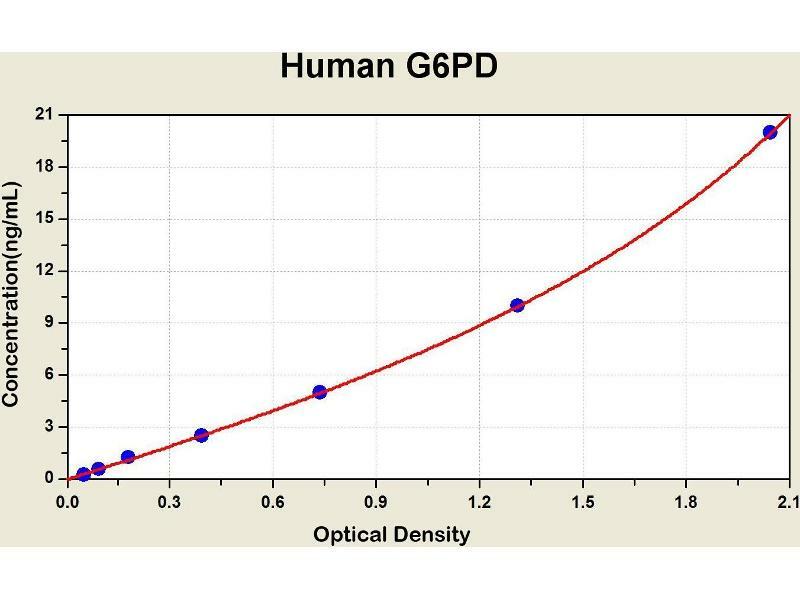 Diagramm of the ELISA kit to detect Human G6PDwith the optical density on the x-axis and the concentration on the y-axis. 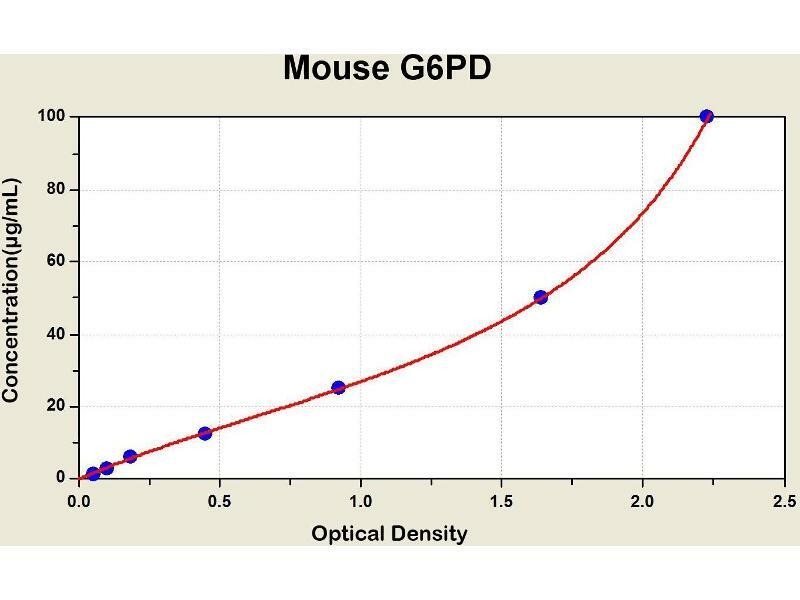 Diagramm of the ELISA kit to detect Mouse G6PDwith the optical density on the x-axis and the concentration on the y-axis. 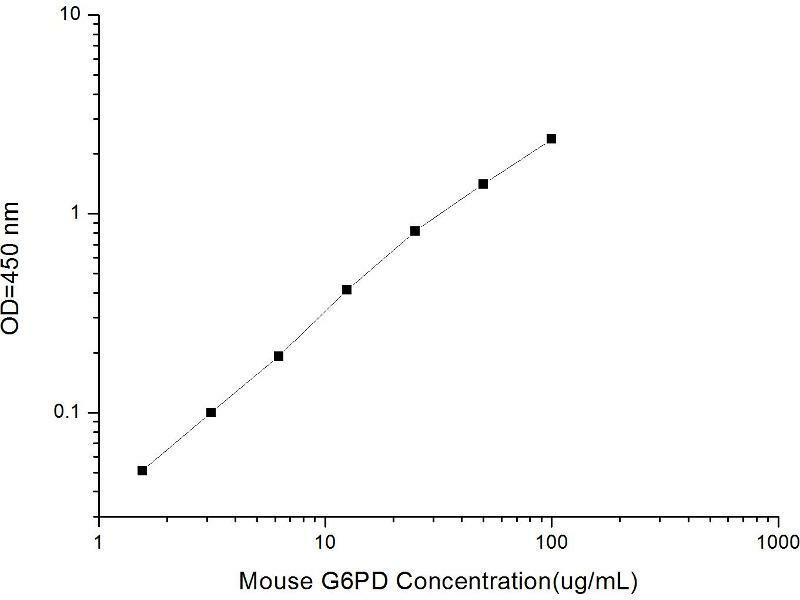 Diagramm of the ELISA kit to detect Rat G6PDwith the optical density on the x-axis and the concentration on the y-axis. This gene encodes glucose-6-phosphate dehydrogenase. This protein is a cytosolic enzyme encoded by a housekeeping X-linked gene whose main function is to produce NADPH, a key electron donor in the defense against oxidizing agents and in reductive biosynthetic reactions. 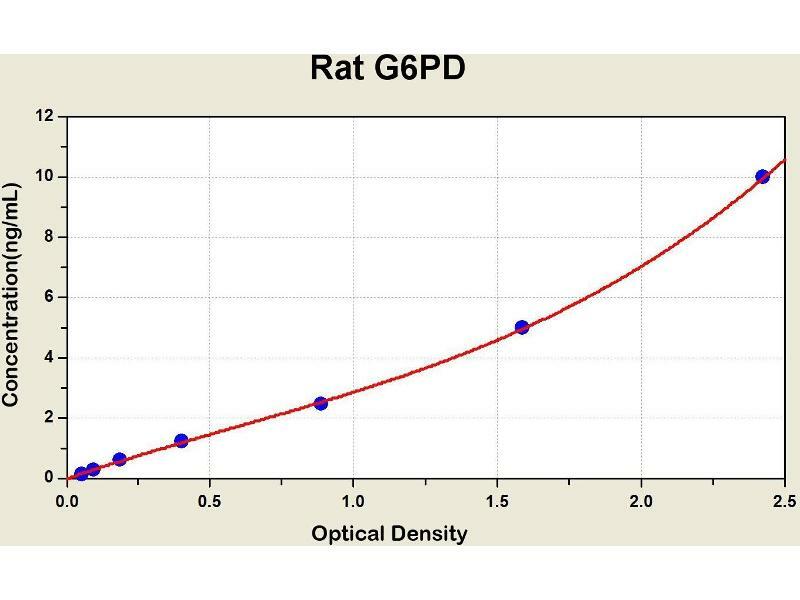 G6PD is remarkable for its genetic diversity. 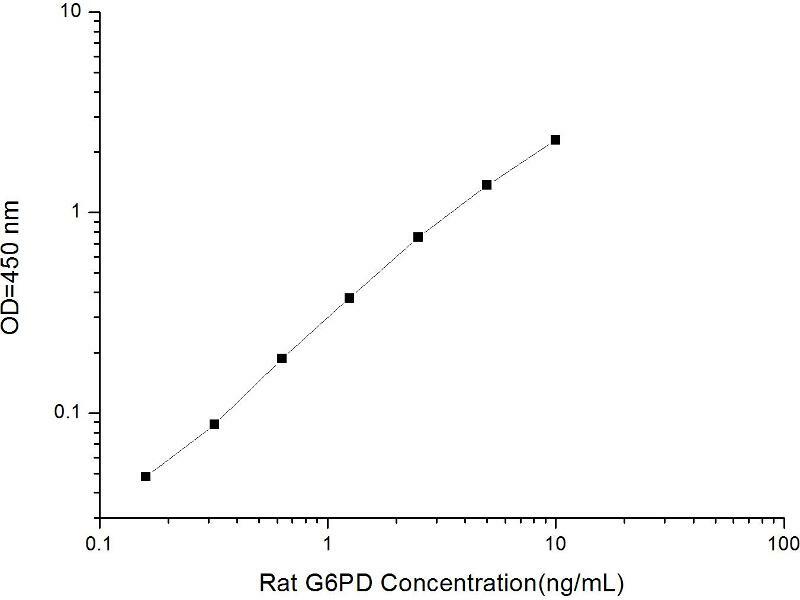 Many variants of G6PD, mostly produced from missense mutations, have been described with wide ranging levels of enzyme activity and associated clinical symptoms. 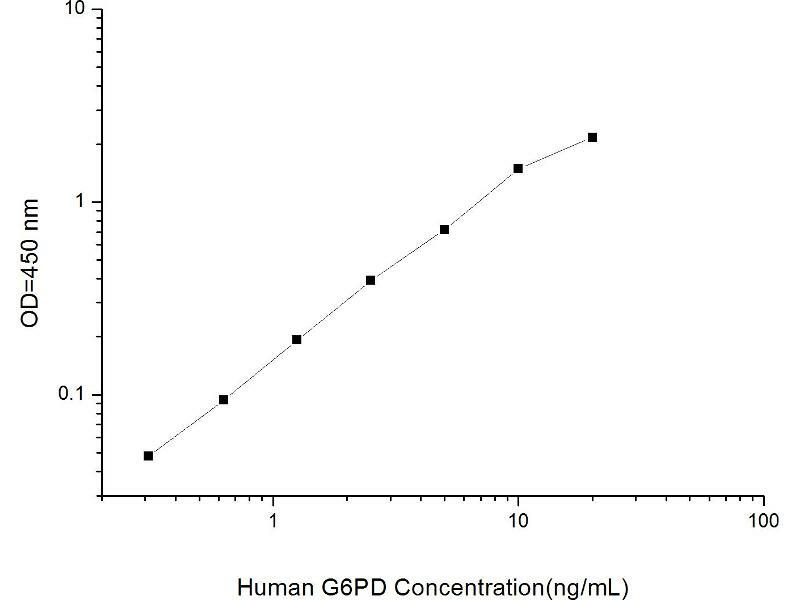 G6PD deficiency may cause neonatal jaundice, acute hemolysis, or severe chronic non-spherocytic hemolytic anemia. Two transcript variants encoding different isoforms have been found for this gene.